Gabriel Luis C. Dormiendo is a student of International Studies at the University of the East in Manila, Philippines. 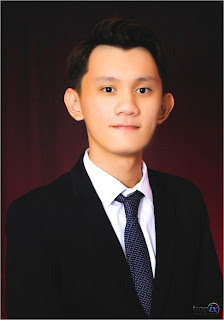 He has a diploma for high school education graduating from Marist School, Marikina City (batch 2014-2015). His research interests include World conflicts and wars ranging from the Napoleonic wars to the middle eastern crisis, international relations of Europe, Historical international relations, modern feminism, terrorism, geopolitical security conflicts, Religion and international relations, Modern/urban cultures of various Nations, he has field experience with teaching about world conflicts, World war 1, World war 2, Korean war etc; Historical and geographical battles, factors and elements of victories in world wars and he has field experience interacting with people of different nationalities. He also has an ear and sight for distinguishing different languages and nationalities. He has attended numerous seminars and conventions about international relations and business in and out of campus. Also participating in the UE Model United Nations being the best delegate in the General assembly on his first time. During his free time, he reads different books and documents about Philosophy, political and economical theories and focuses his time on watching documentaries about historical battles and enjoys listening to music.